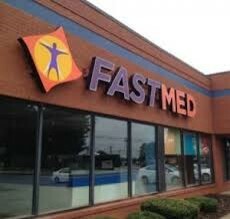 For businesses in North Carolina and Arizona that need fast, accurate employment drug screen services, you will find no better partner than FastMed Urgent Care. FastMed walk-in clinics are located all across the both states. We’re open all year long – weekends and holidays too – with extended hours for easily accessible neighborhood healthcare. If you have a new hire waiting in the wings or an accident investigation that requires an employee drug test – we can do employee drug test and turn the results around fast. All FastMed locations are drug testing facilities with in-house laboratories. We’re not like a doctor’s office that has to ship samples from employment drug screening to an outside lab – with longer wait times, additional cost and more opportunities for error. We accept most major insurance plans and treat all types of common conditions and minor injuries. Remember, urgent care is not emergency care, if you think your condition is life-threatening, please call 9-1-1 and get to the ER right away. FastMed understands that doing business efficiently is an important part of doing business right. We strive for quality in every thing we do, including working with our partners, patients and vendors. All of FastMed health records are digitized, so information on employee drug testing results are well documented, time-stamped and easily available. We do as much in-house as possible, from testing to X-rays to EKGs, our model is to be accessible and affordable. Please visit our Occupational Health Services page to submit a request for more information.